Spend some time with a good book! That day forever changed Olivia’s life. Now a successful child advocate attorney, Olivia is a passionate voice for children. However, a routine case assignment by the court plunges Olivia back into the trauma of her childhood. 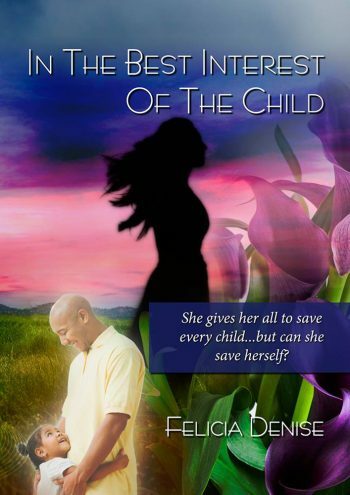 If she doesn’t face her demons, a child will be sent into foster care. NOTE: This book is intended for mature readers – 18+. Through health scares, severe family dysfunction and trauma which forever changed their lives, the Porter family clung to each other to keep from sinking into the darkness. Even though loss shaped Olivia Chandler’s life, she never learned how to deal with it. Thrust into the foster care system as a child, little Livvie Chandler was told to ‘just forget’ and ‘be good.’ And for twenty-eight years, that’s what she did. In this short snippet, Olivia finds out Willis Benson is terminally ill. The executor of her father’s will has been protector, mentor and surrogate father to the closed-off attorney. Olivia moved on after her father’s death and her mother was sent away, but this could be the loss that sends her spiraling out of control. “July?” Thoughts and images raced through Olivia’s mind. She spent time with Willis five or six times in the last four months. And never suspected a thing. Dizziness and nausea gripped her. Heat enveloped her body as sudden fatigue caught hold and dragged her toward the floor.